below, Book 129, Fall 2007 / Winter 2008, entries for 20-24 December 2007. There was a time I thought my art might be leaving me. After undergraduate school I took a job as a graphic artist doing paste up for all sorts of uninteresting advertising projects. It was one of the lowest points of my life, working sixty hour weeks, making junk for a world that needed less of it. I knew I had to find a way to get my art back. A book was the answer. It was small. I could carry it anywhere. Even if I didn’t have enough drawing time I could manage to sketch a note or write a little bit. My book became a repository for whatever I wanted when I needed it. 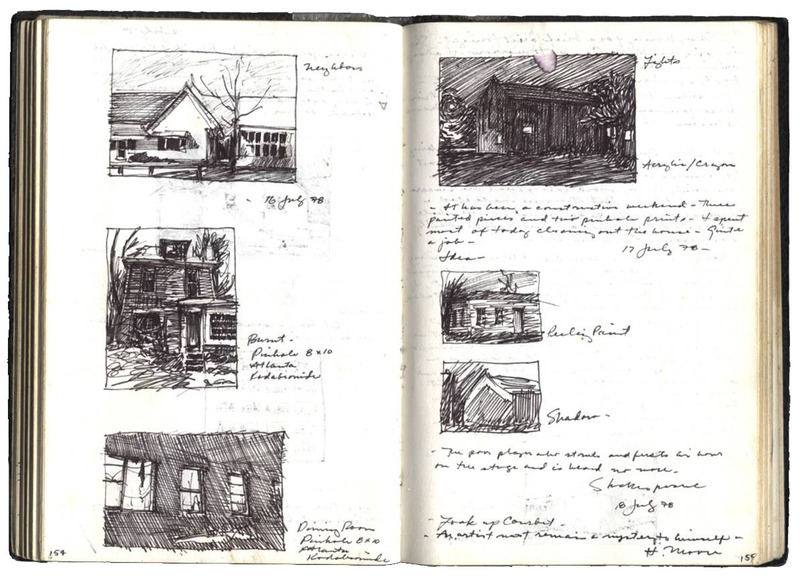 I began by recording the events of my life in my legible handwriting, carefully dating each page (see previous entry illustrating Book 1 1977-1978, entries 16-17 July 1977); but that bored me quickly. As an experiment I determined that I would record whatever words came into my head scribbling my train of thought with no edits, often illegibly (see Book 2 above) page after page; no dating, no clarifications. That path too seemed to narrow. Eventually my handwriting developed into tiny, private notations. I began to date my entries again, and started to include dreams as a way of tracking my subconscious. 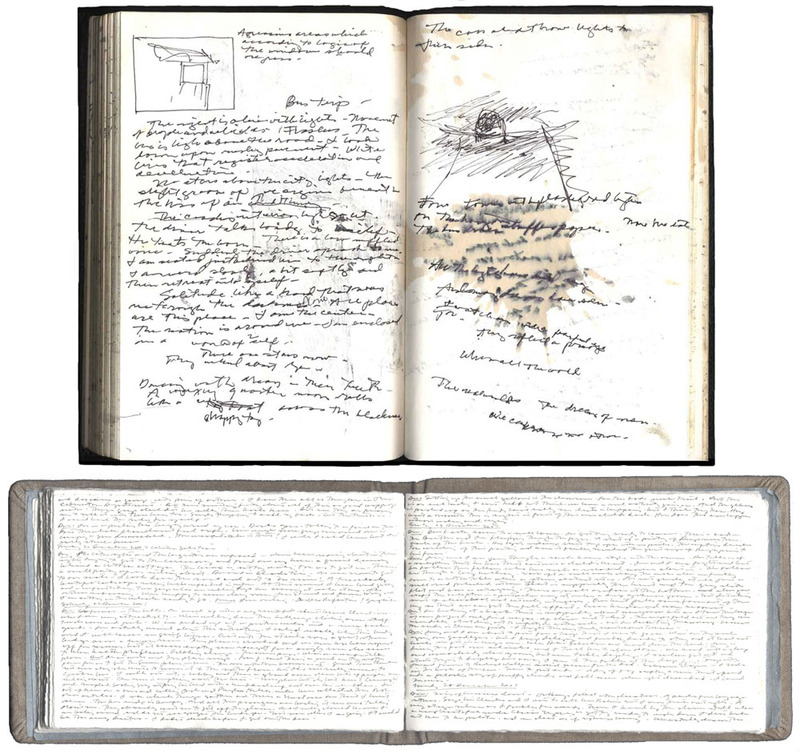 From noting the occasional stray dream the entries evolved into streams of multiple dreams per night; too many to write down at times (see Book 129 above). My journal developed out of a need to hold on to something that was very important to me; my art. I’ve held fast to it like a lifeline, and now, looking back, the thread connects me to who I was at every stage; a lifeline of another sort. My books will continue to change with me. 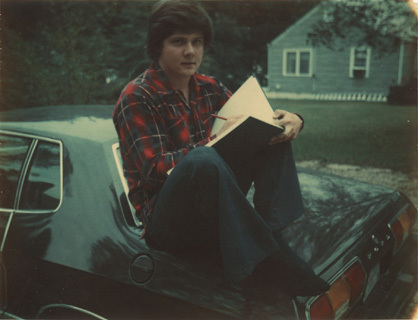 The artist sketching, summer 1977, a few months before commencing his journal series.